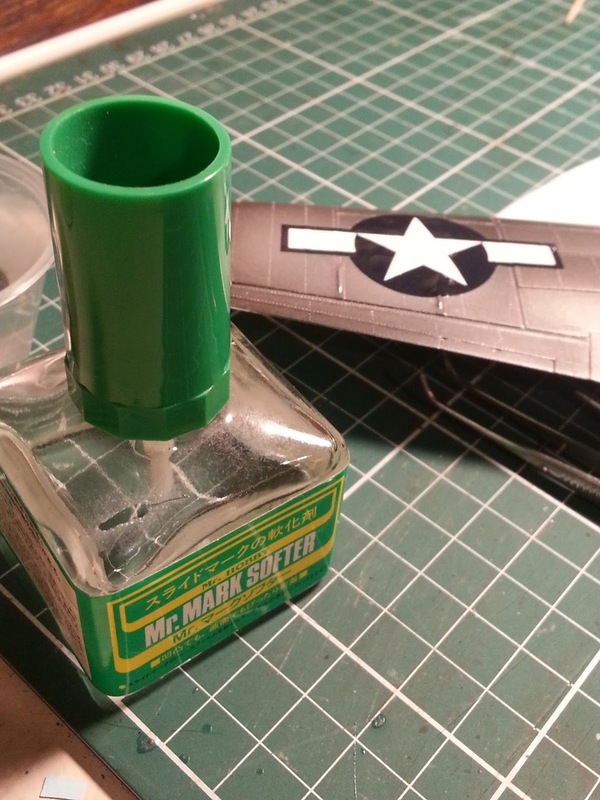 When I first started making models, I would gloop the decals on with no planning, and inevitably I would be disappointed. There would be silvering around the edges, and it could sit like a tent across any raised detail like rivets or bolts, or across a gap between panels. Not good. 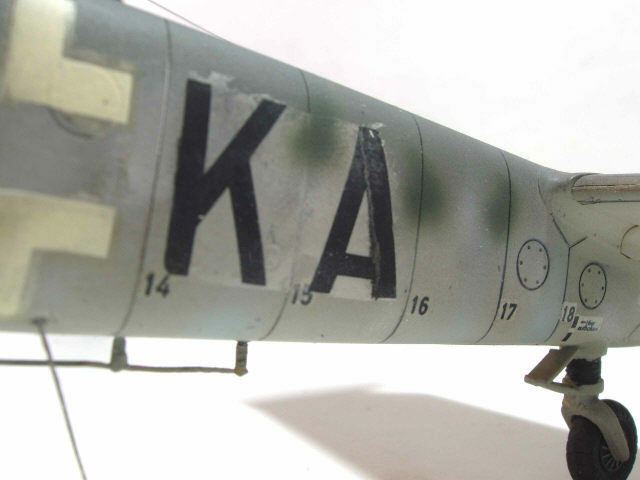 This is silvering, when the carrier film around the graphics or letters can be seen. All that silver area around the K and A is silvering. Source. 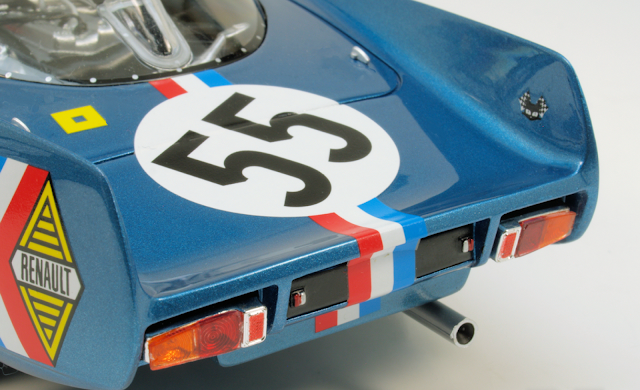 Look at how the decal bridges across the panel gap, and how it doesn't fit snugly under the rear overhanging part. Source. With a fair bit of time having passed since then, I can now apply decals with a minimum of tears flowing. 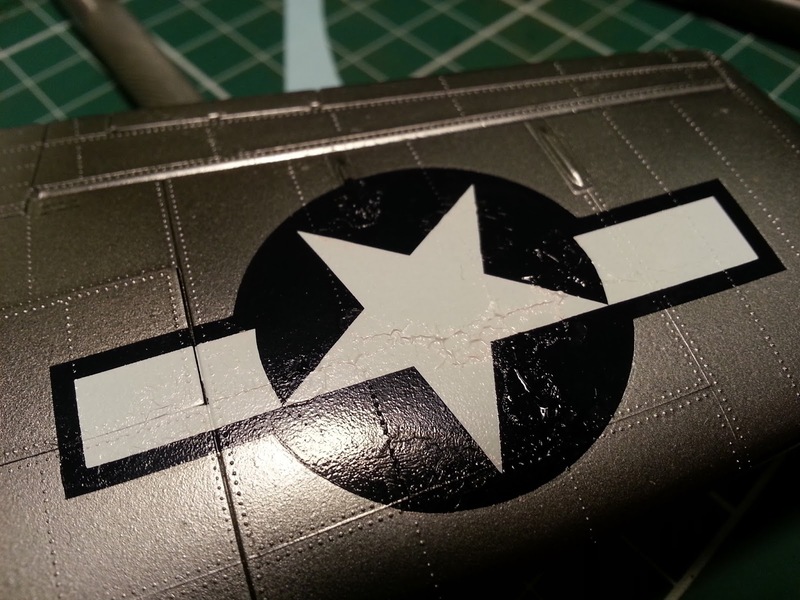 Apply decals to a gloss surface. This stops silvering every time. Use a setting agent to make them settle into place. Apply another gloss coat over the decals once they are dry. This helps to get rid of any raised lip edge of the decal, and protects it from weathering processes to follow. My preferred setting agent is Mr Mark Softer. It does the job, and it does it well. I have also heard that Solvaset is a good product as well. Here are the decals I've started applying this week. This is after two coats of setting agent. 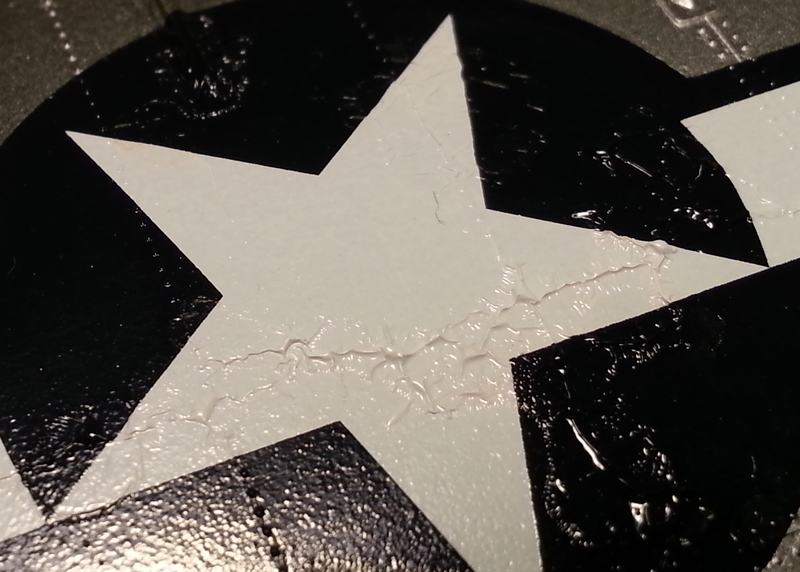 You can see where the setting agent blisters and cracks the decal. Don't panic, it's meant to do this. 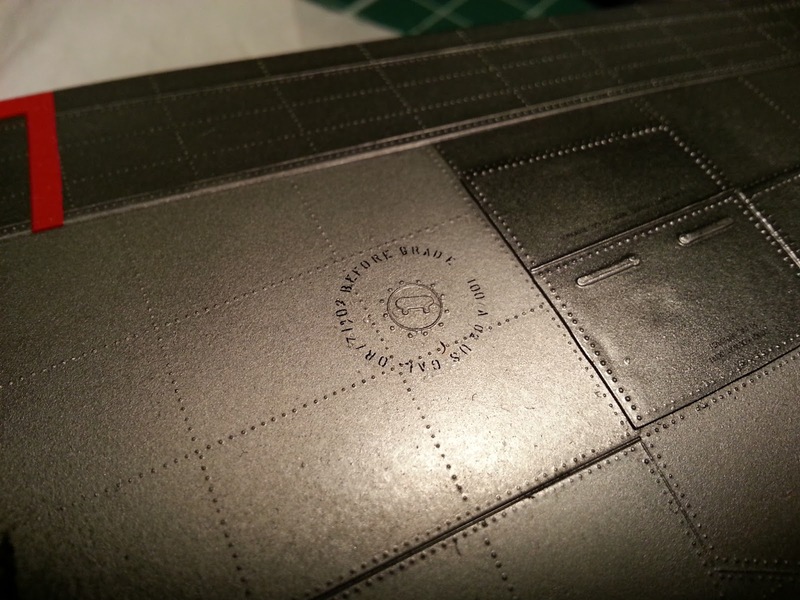 This decal is now perfectly set over the raised detail of the filler cap, and there is no silvering. Another gloss coat on top will help get rid of that slightly visible edge of the carrier film. Looks bad. Is good. It's doing its thing. I'll come back in a day or two to show you the finished results. Woo hoo! Starting decals on the Mustang!